The Cuban Flag Is Now Flying in D.C. It Was Never Supposed to Take This Long. 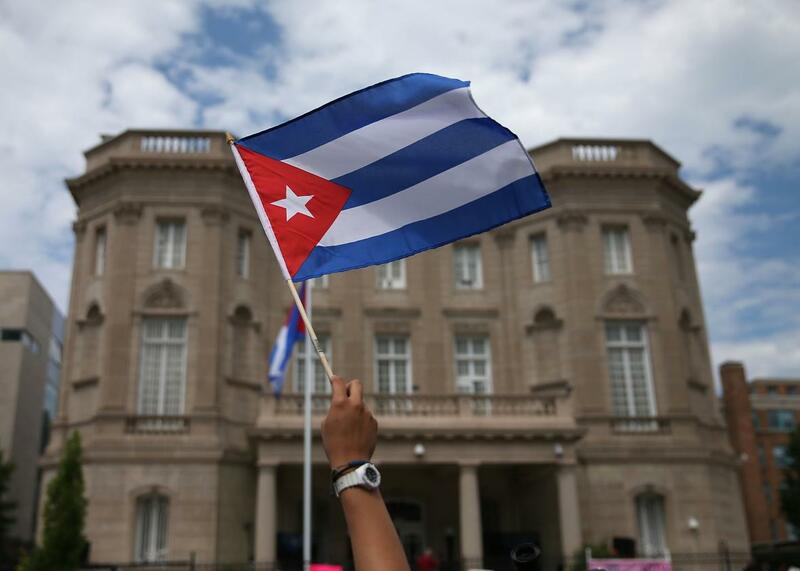 A supporter waves a Cuban flag in front of the country’s embassy after it reopened for the first time in 54 years on July 20, 2015, in Washington, D.C. Both sides seemed to view the break as temporary. “It is my hope and my conviction that in the not-too-distant future it will be possible for the historic friendship between us once again to find its reflection in normal relations of every sort,” said Eisenhower, decrying the “yoke of tyranny” imposed by Castro on the Cuban people. Speaking later that week at the U.N., Cuban Foreign Minister Raul Roa Garcia noted that his country’s quarrel was not with the American people but with the “reactionary Eisenhower administration,” and said that his government was awaiting “a wiser course” under incoming President John F. Kennedy. In reality, relations seriously deteriorated under Kennedy, and it would take 54 years for another lame-duck president to fully restore diplomatic ties—a move that became official today with the raising of the Cuban flag over the country’s embassy in Washington. Secretary of State John Kerry will travel to Cuba to raise the stars and stripes over the U.S. embassy in August. As for the “yoke of tyranny” in Cuba, that’s still in place. Reaction to Eisenhower’s move from the U.S. media and on Capitol Hill was mostly positive in ’61, with the break widely viewed as an inevitable response to Castro’s provocations. But there were some dissenting opinions. The New York Times reported on Jan. 5 that Rep. Henry S. Reuss, Democrat of Wisconsin, said that the break in relations “makes it much more difficult for the Cuban people to restore their government to sanity by peaceful means”—a remark that anticipates the complaints of some Cuban dissidents today.